Manikung ta la wut tu. 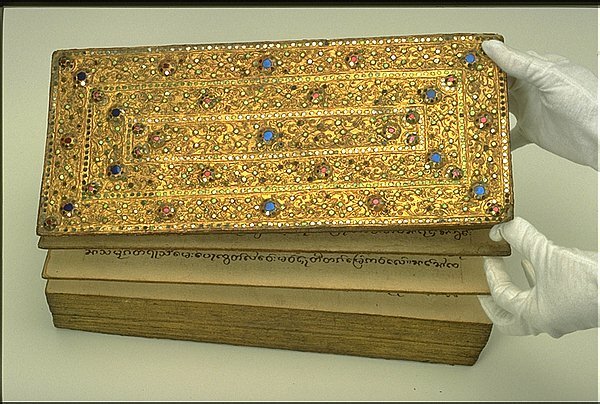 Containing a story from the life of the Buddha, the pages of this manuscript from Thailand are made from mulberry bark and are assembled in a pleated manner, like an accordion. The gold-tone lacquer cover is decorated with colorful floral designs in glass and painted papier-mâché.